Bernard K. Means holds a plastic replica of a chunkey stone from Fort Hill. 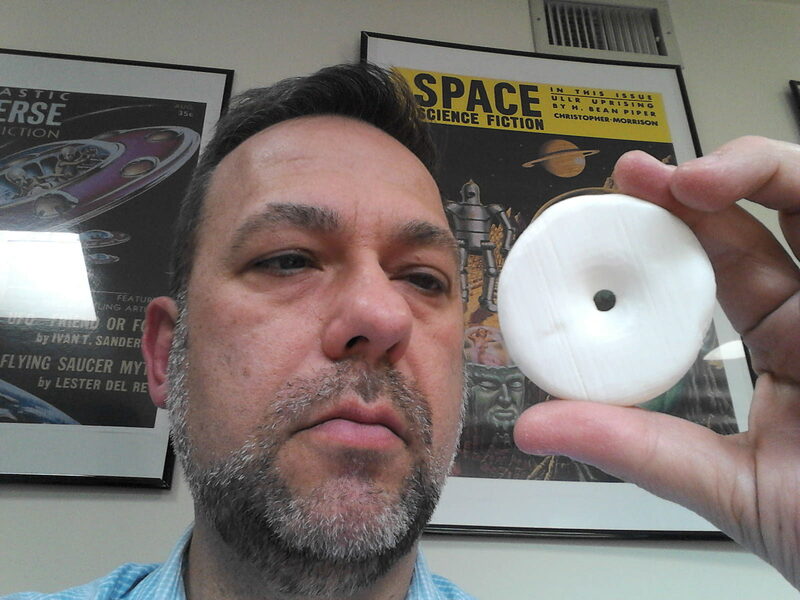 The object I am holding in my hands is a plastic replica of a chunkey stone that was produced last week in the Virtual Curation Laboratory, thanks to the hard work of VCU student Allen Huber. The replica was generated from a digital model created in the Virtual Curation Lab using our 3D object scanner on the actual artifact. The artifact was loaned for this purpose from The State Museum of Pennsylvania, in Harrisburg. Photograph of the actual chunkey stone from Fort Hill. The chunkey stone itself came from the village site of Fort Hill, located in Somerset County, Pennsylvania, and was indirectly dated to the 13th century A.D. through accelerator mass spectrometry (AMS), a form of radiocarbon dating. Chunkey stones were used in a game involving two players. The stone was rolled along the ground—sometimes on a prepared earthen court—and the two players threw carved wooden sticks at the location where they thought the stone would come to a rest without hitting the stone itself. The Fort Hill chunkey stone clearly was struck and the original object was split in half, but later mended after it was excavated. How does the WPA fit into this picture? The artifact, along with hundreds of others, was recovered by WPA excavations at Fort Hill in 1939 and 1940, under the direction of Edgar E. Augustine. Details on these excavations can be found here and there is a chapter dedicated to Edgar E. Augustine in the Shovel Ready book. I first examined this object—and others from the site—back in 1999 while a Scholar in Residence at The State Museum of Pennsylvania. 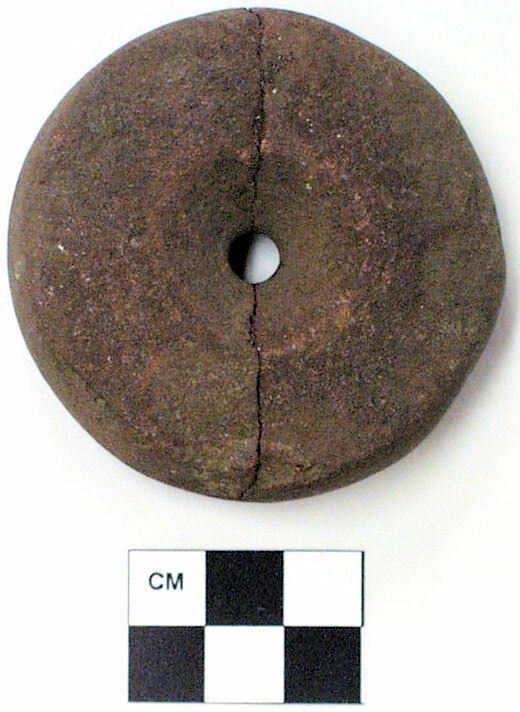 The research potential for these artifacts from Fort Hill is tremendous, but access is limited both by distance and limited availability of a small, but hard-working curatorial staff at The State Museum. Fortunately, some of the artifacts recovered by the WPA can be made accessible through virtual curation. The Virtual Curation Laboratory @ VCU has scanned a number of artifacts from Fort Hill and also the nearby Gower site, which was also a WPA-excavated village that was roughly contemporaneous with Fort Hill. Thanks to virtual curation and 3D printing, we can open up these important objects to a wider audience. Digital model of the chunkey stone from Fort Hill.